As our patients age, most will visit our clinics describing their main concerns as ‘looking old and tired’, having lacklustre skin and no longer having the ‘glow of youth’. This is because, as we age, the dermis thins and morphological changes, along with genetic and lifestyle choices, contribute to a diminished appearance. With all of the above in mind, I decided to create my trademarked protocol, the ‘rejuvalift’. I wanted to do this so that all the underlying principles of facial ageing were addressed and that it had a more descriptive term. Sutures: I prefer to use Silhouette Soft sutures to allow repositioning of the soft tissues. I recommend these particular sutures as they are inserted into the subcutaneous layer of the face and not as deep as the dermis. HA fillers: These are usually used to augment the lip to improve patient profile, as the rejuvalift is about addressing complete facial rejuvenation. Botulinum toxin: To reduce the activity of the dynamic muscles in the upper face that lead to rhytides, as well as placement in the lower face to reduce the hyperactivity of the mentalis and depressor anguli oris muscle (DAO), which causes a dropping of the oral commissures. As the principles of my protocol are founded on the rejuvenation of the face, it is important to start with providing the bony support that has been lost through bone resorption of the maxilla, mandible and temporal area. Collagen-stimulating filler is injected deep onto bone using a needle in the temples, pogonion, as well as the angle of the mandible. I prefer to use a needle for these injection areas as the collagen-stimulating filler injected to the bone gives support and lift. It is also placed onto the bony aspect of the zygomatic arches to create a more uplifted look. Addressing the temporal area gives the illusion of a more open eye, in my experience. The pre-jowl sulcus is also addressed by injected onto the bone, as there is more bone resorption in the mandible at this point. The product is also placed into the soft tissues under the lower lip and marionette areas to give lower lip support, as well as correction of the labiomental crease. The nasolabial folds are also injected at this time, and I tend to correct the area using a cannula due to it being a higher risk area. I find that injecting into the piriformis region of the nose, deep onto the bone using a needle, is a good way to soften this particular area. Neocollagenesis takes approximately 12 weeks once the collagen-stimulating filler has been injected. This is a crucial time as type I collagen is being produced by the patient. It is not until this point that I assess where the threads should be placed. The sutures are placed in a straight-line pattern to mimic lifting forces in straight line vectors. It is recommended by the manufacturer to place five sutures on either side of the face with the fifth suture under the mandible and extending posteriorly. The threads have cones that are bi-directional and it is the breakdown of these cones that give a gentle volumisation and stimulate type I collagen.31 The threads address the nasolabial folds and jowls, as well as tightening the skin under the mandible to give a fresh, rejuvenated look. Placement of HA filler in the lip is the next step in the rejuvalift protocol. There is evidence that there is bony resorption in the maxilla, especially the piriform area, and I find that lip augmentation is necessary to achieve a natural profile and overall balance to the face.28-30 There are a variety of ways to deliver the HA filler and there is no specific technique to carry this out. However, I find that as we are trying to achieve a fuller lip, I use a cannula method (preferably 25 gauge) whereby the filler is injected into the lip above the muscle. Amounts that are injected vary for each individual but I find that, on the whole, 1ml is more commonly used. 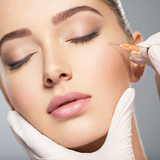 The placement of botulinum toxin is the final treatment in my phased and multi-layered approach. Not only is it important to treat the upper face for dynamic rhytides, it is also important to consider the lower face to treat the mentalis (this reduces the hyperactivity of this muscle to reduce the labiomental crease) and the DAO muscle which, in turn, helps improve marionette lines and oral commissure shape. Difficulties that may arise from the rejuvalift protocol primarily result from poor patient selection, especially when assessing them for the thread-lifting criteria. Skin that is too thin or too thick is not appropriate as we cannot achieve a pleasing aesthetic result. There is also a risk with particularly thin skin that the aesthetic outcomes are unfavourable with skin puckering, especially after the sutures have been tightened. Thicker skin, on the other hand may not allow the threads to ‘lift’ the soft tissues. 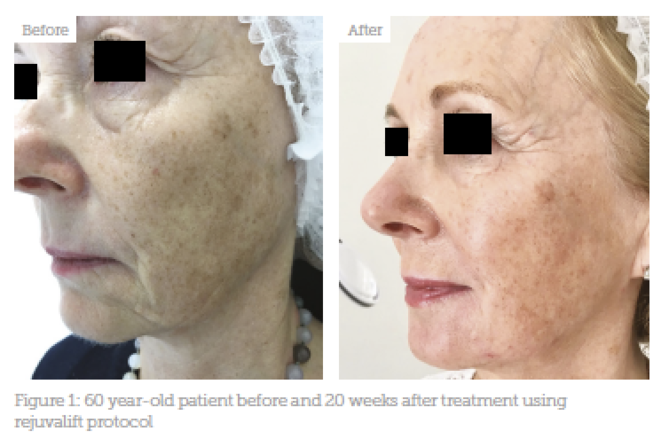 Ideal patients for this treatment are those with mild jowling, good skin texture, preferably non-smokers and those whose skin has not suffered from visible ageing from the sun. I have not had any experience with other types of thread systems, so I am not able to comment on whether they would be better for patients with thick skin. Understanding the principles behind how the face ages is important to achieve an optimal aesthetic result. The understanding of the facial structures that lead to this process are what I believe makes one aesthetic practitioner stand apart from another. Managing patient expectations, careful patient selection, understanding facial anatomy, where best to place product, at which level and at which phase of the treatment process, is vitally important. The rejuvalift involves treating the ageing face as a complete entity and taking into account static and dynamic movements of the face. The key elements of the treatment, as mentioned above, can work well synergistically and, in my personal practice, I have seen incredible results, while retaining a natural appearance. Lande JH. Growth behavior of the human bony facial profile as revealed by serial cephalometric roentgenology. Angle Orthod. 1952;22:78. Nanda SR. The rates of growth of several facial components measured from serial cephalometric roentgenograms. Am J Orthod. 1955;41:658. Hellman M. Changes in the human face brought about by development. Int J Orthod. 1927;13:475. Wulc AE, Sharma P, Czyz CN. The anatomic basis of midfacial ageing. In: Hartstein ME, Wulc AE, Holck DEE, editors. 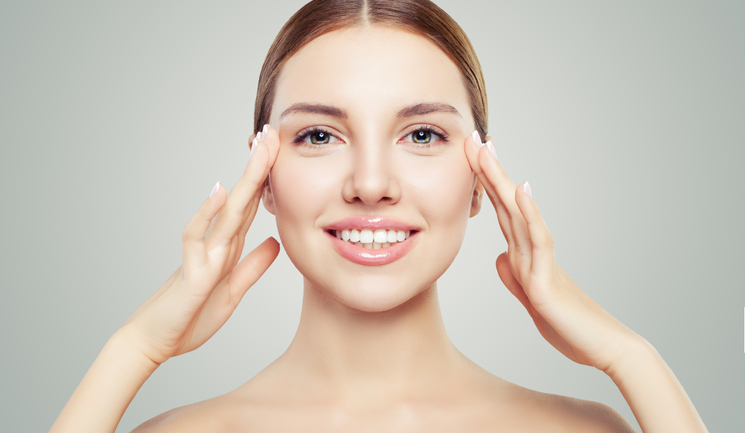 Midfacial Rejuvenation. New York: Springer Science+Business Media; 2012. pp. 15–28. Kahn DM, Shaw RB, Facial Plast Surg Abstract 2010 Oct;26(5):350-5. Reece EM, Pessa JE, Rohrich RJ. The mandibular septum: anatomical observations of the jowls in aging-implications for facial rejuvenation. Plast Reconstr Surg. 2008;121:1414–1420. Barton FE., Jr The SMAS and the nasolabial fold. Plast Reconstr Surg. 1992;89:1054. Camp M, Filip ZA, Wong W, et al. A novel three-dimensional analysis of periorbital facial aging. Plast Reconstr Surg. 2009;124(4S):41–42. G. Gunin, N.K. Kornilova, V.V. Petrov, O.V. Vasilyeva, 2011, published in Uspekhi Gerontologii, 2011, Vol. 24, No. 1, pp. 43–47.